The saying goes that we learn more from our failures than from our successes. So where are the biographies of “failing” men? They don’t exist! Why? What we men fear most is sharing the story of our own perceived failures. 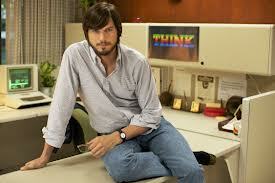 LATE LAST year I took my teenage son to watch the movie Jobs, which is the story of Apple founder Steve Jobs (played surprisingly well by Ashton Kutcher). It was on the art circuit in this country and so did not get a big release, although I was sure the book had been in the Christmas stocking of every man who hadn’t bought it himself in the two years since its release. After all, it was Amazon’s biggest seller (third for Kindle) for 2011 and the biggest-selling book in the USA for that year too, despite having only been launched in late October. What were we after, we men who read the book or ventured to the art cinemas to watch the movie? Was it to be good men like him? Or was it to be successful like him? Clearly the latter – his goodness was questionable. If it was a good man we were after we would have bought Mandela’s biography instead – and we would have actually read it. More recently I watched The Wolf of Wall Street, and I found myself being taken in by his apparent success – he made lots of money, without much goodness and apparently little consequence. It left me wondering about how life rewards us. In the Wolf’s case: quite well on the surface of things. What do we learn from their stories, which are so much unlike most of ours? Would we learn more from the stories of men who’ve dealt with broken dreams and shattered lives and put them back together again? Well, yes, if we could find them – and if we would even stop to listen. The problem is, those men go into hiding until it’s all over – or until they die. There’s a great irony here, because not one man is without pain, difficulty, perceived failure, or loss, even the ones we would call successful – men like Donald Trump, Robert Downey Jr – have been through it. And not one man is alone once he speaks his deeper truth to another who is willing to hear it. I’ve witnessed this in men’s groups and I’ve seen that just knowing that he is not alone is enough for a man to put down, or at least lighten, his burden of shame. He feels free and energised to take another bold step into the world. Sharing a deeper truth doesn’t mean that the listener has to start counselling and processing. The issue doesn’t have to be resolved with advice. Likewise, and even more importantly, it should not be tossed aside with a joke. For the man speaking, the thing just needs to be said. For the man listening, it just needs to be heard. Most often, what happens is both men know they are not alone, and most often, just this fact is enough. I have trained in personal development workshops for the past decade and it’s the women who have turned out in their droves. It’s the women who have been sharing, and advancing themselves. Men have made up about 30-40% of the audiences. It’s worth noting here that suicide rates are that much higher among men than women. When I sign up men for a workshop, or into one-on-one coaching, I know that the biggest obstacle I face is the thing we fear more than having to climb a mountain, breaking our arm, or even death, and that is the thought of having to expose our perceived failings in front of another man. We men would rather go and listen to someone who’s performed a physical feat – someone who’s climbed a mountain, run the Great Wall of China, swum in the Arctic seas, or made a gazillion bucks. We’d rather do any of those things ourselves, in order to “prove” ourselves, than do the other thing. Well, you might ask, isn’t that what we men are after, how we feel good about ourselves – by achieving stuff? Yes, that’s true, and an even deeper truth is this: that what you can’t share, you can’t own; and what you don’t own, owns you. In other words, if you can’t share your fears and perceived failures (verbally with another person) you don’t own them, you’re not taking responsibility for them, and they will continue to own you, meaning that particular failure will repeat itself in your life until you do own it – and prove that by sharing it. 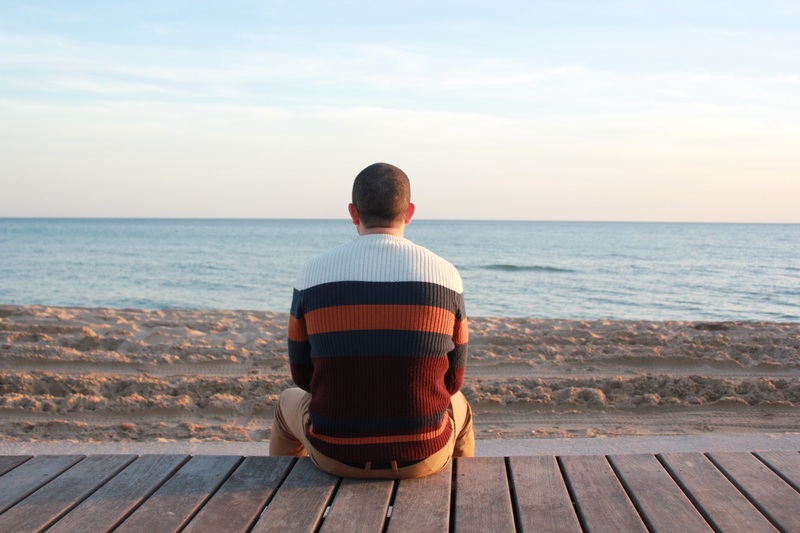 The very sucessful and effective 12-step program of Alcoholics Anonymous includes, at Step 5, the phrase, “Admitted … to ourselves, and to another human being the exact nature of our wrongs”. This is very precise. It implies first knowing and understanding our mistakes, and then sharing them with someone else. Being able to do what we men fear most – to speak our truth – does not occur naturally in male settings. If you are able to do this authentically and be heard, you are fortunate. Most times, it requires a conscious context between the men involved. 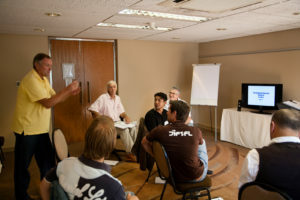 Learning to do this and putting yourself in a position to do it – finding other men to do it with – is one of the primary benefits of joining a men’s group or attending a men’s workshop. By the way, I took my son to see the Mandela movie too. Just saying!